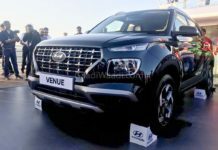 Ford EcoSport is certainly one of the popular and best selling compact SUVs available in Indian market since it was launched in June, 2013. 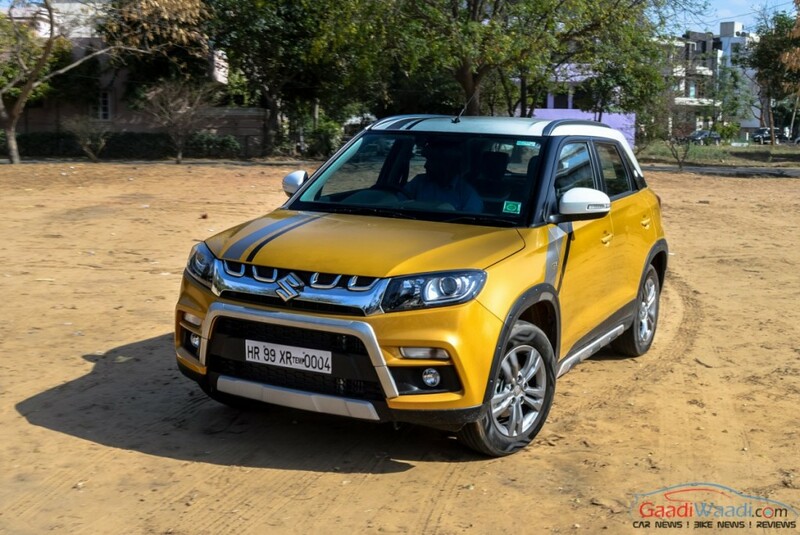 The butch and muscular looking compact SUV is presently the most exported model in the 2015 – 2016 fiscal year. 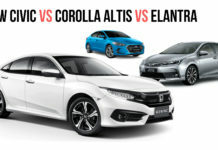 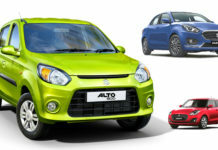 The car offers SUV experience to the driver and occupants in a premium hatchback price. 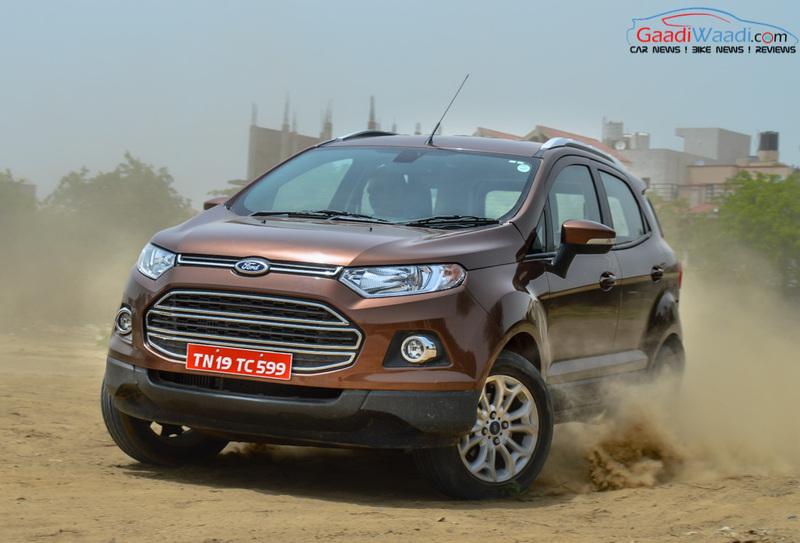 Ford EcoSport has been priced aggressively to compete against the rivals. But when Maruti Suzuki launched their first compact SUV Vitara Brezza, the American automaker slashed the price of the car by up to Rs. 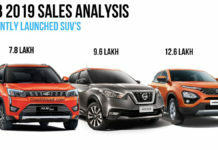 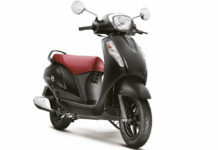 1.12 lakh, which has made the car more affordable to the buyers. 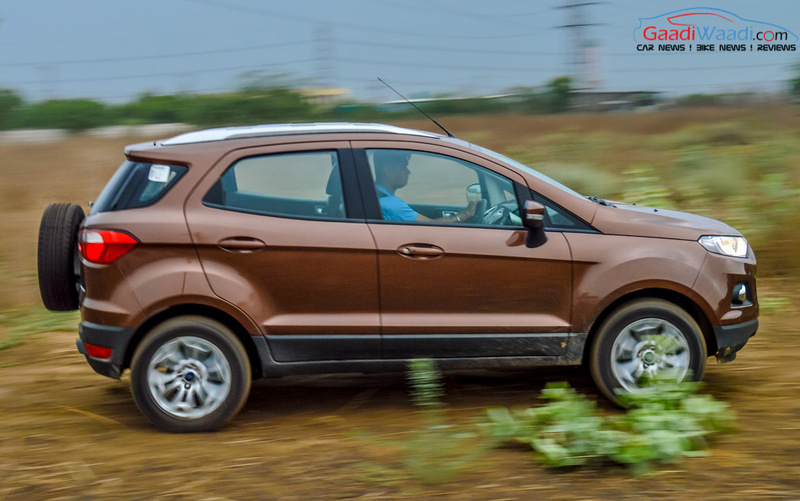 Here let’s take a look at the variant wise pricing of the Ford EcoSport. 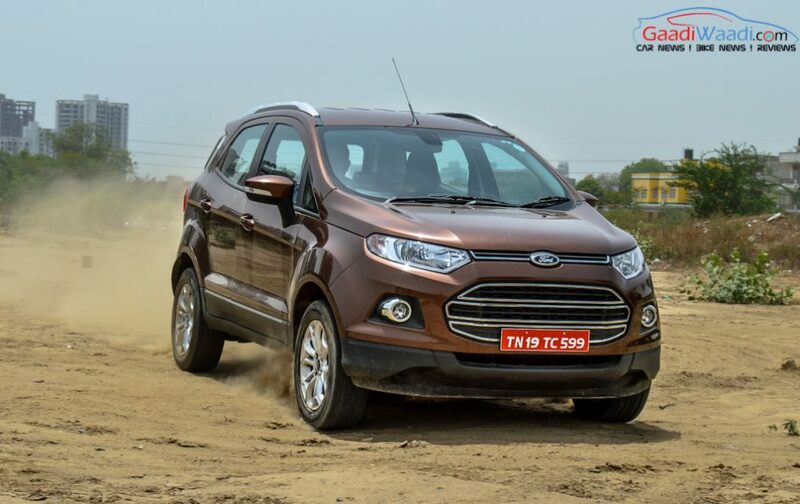 Ford EcoSport comes in both petrol and diesel variants. The transmission options available are manual and automatic. On the petrol front, the Ford EcoSport gets a 1499 cc displacing Ti-VCT engine, which gets mated to a 5 speed manual gearbox, and churns out 110 bhp of peak power at 6300 rpm and 140 Nm of peak torque at 4400 rpm. 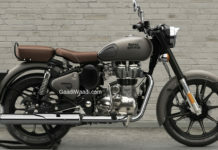 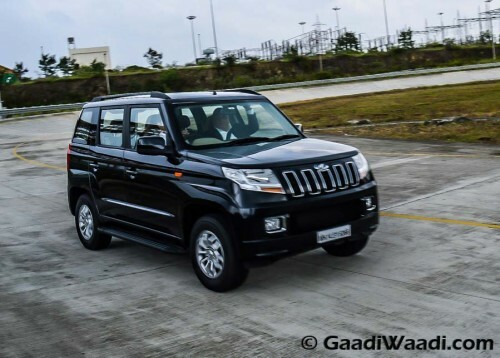 The same engine gets paired with a 6 speed automatic gearbox in the top end Titanium trim. 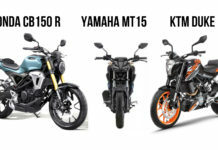 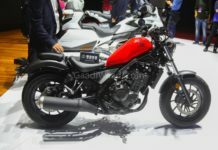 The petrol variants get another engine, which is very popular around the world: It’s the 999 cc displacing 1.0 litre Ecoboost engine available in Trend+ and Titanium+ trim only. 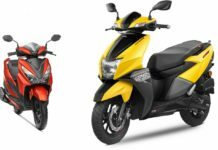 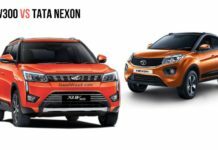 The engine gets paired with a 5 speed manual gearbox, which produces 124 bhp of peak power at 6000 rpm and 170 Nm of peak torque at 1400 rpm. 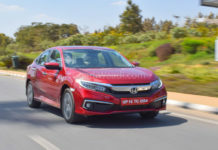 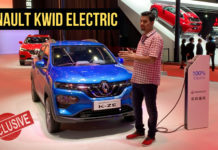 The diesel variant gets a single engine in form of 1.5 litre TDCi unit, which gets paired with 5 speed manual transmission, and pumps out 99 bhp of peak power at 3750 rpm and 205 Nm of peak torque at 1750 rpm. 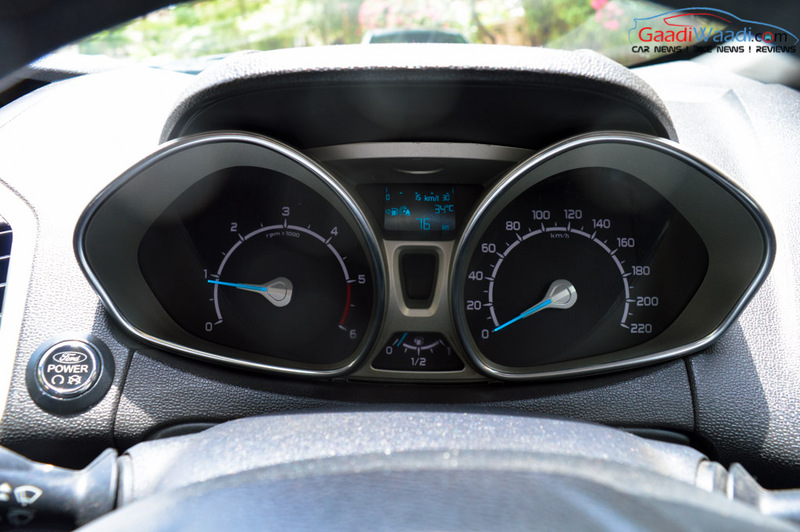 The Ford EcoSport 1.5 litre petrol engine mated to a 5 speed manual transmission delivers 15.8 kmpl of fuel economy, while paired with 6 speed automatic gearbox the same engine delivers 16.5 kmpl of fuel economy. 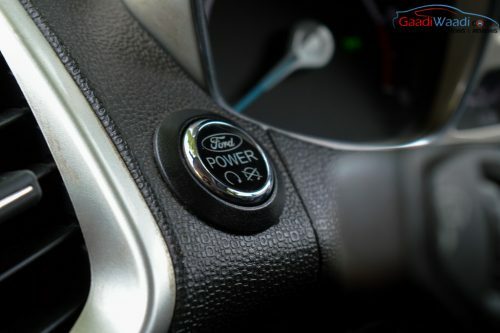 The 1.0-litre petrol EcoBoost engine mated to 5 speed manual transmission offers 18.9 kmpl of fuel economy. The 1.5 litre TDCi diesel engine delivers 22.7 kmpl of fuel economy. 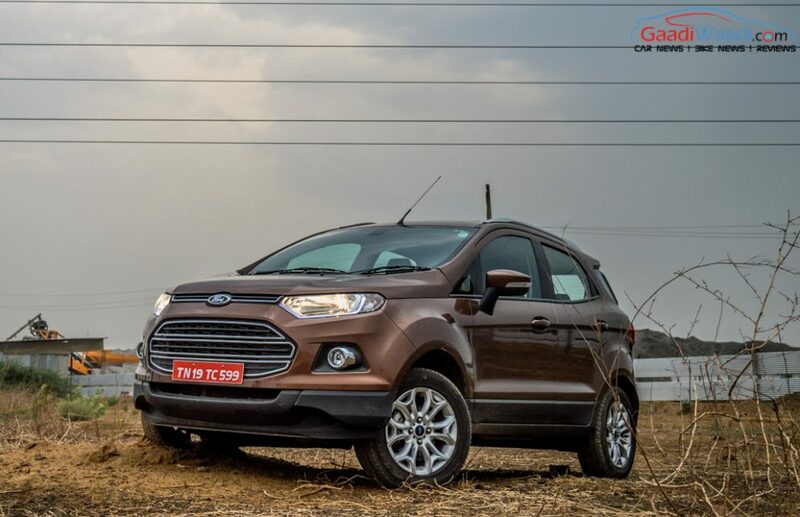 Ford EcoSport sports a tall and beefy stance. 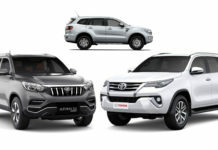 The car gets sharp wraparound headlamps with LED daytime running lights, large hexagonal front grille with chrome embellishment, muscular front bumper, round fog lamps and a skid plate as well, to deliver the off-roader vibe. The side profile gets wing mirrors with integrated side turning lights, blackened glass area, sporty alloy wheels and thick body cladding. 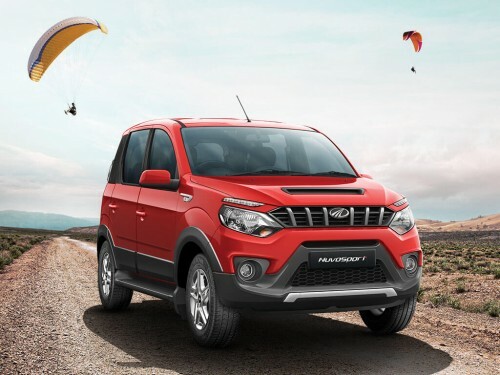 Move to the rear, you will find a roof spoiler, sharp taillamps, and the spare wheel mounted at the tailgate. Dimensionally the five seater Ford EcoSport comes with 3999 mm of length, 1765 mm of width, 1708 mm of height and 2520 mm of wheelbase. 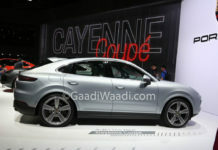 The car also gets 200 mm of ground clearance. 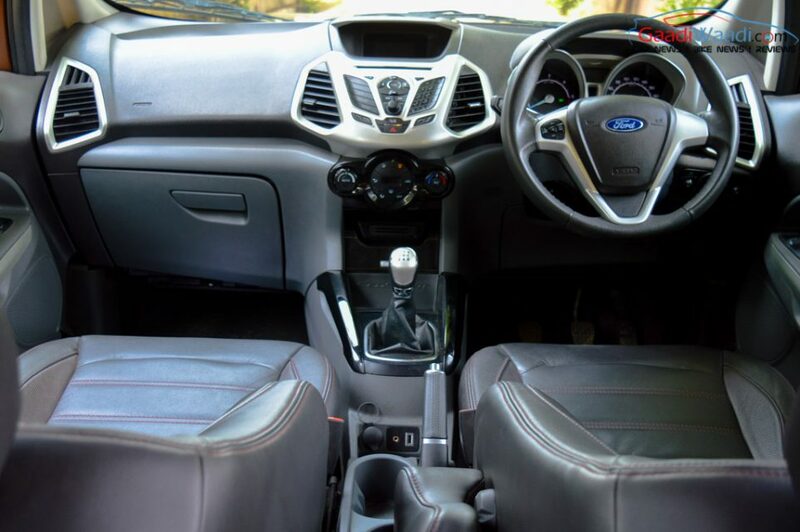 The EcoSport offers a pretty decent interior which looks upmarket. Up front, the cabin sports a multi-function steering wheel, dual pod instrument cluster which gets a TFT display as well. 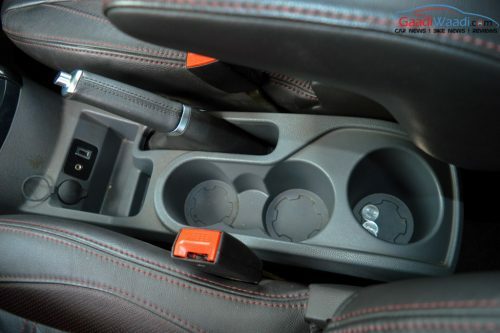 Looking at the centre console might give you a vibe of a spaceship control, as it comes with an unusual layout. 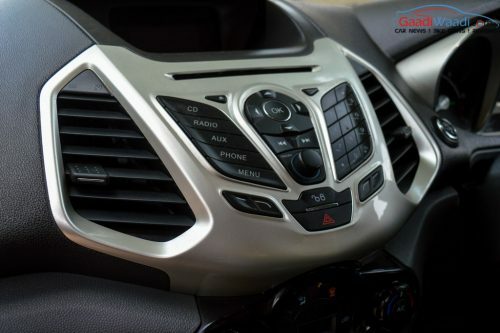 The centre console gets a digital infotainment screen which is flanked by several control buttons and knobs. 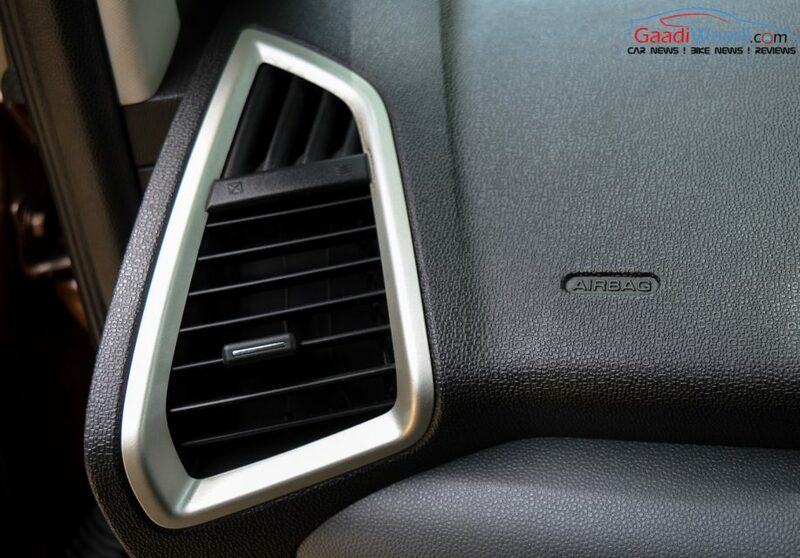 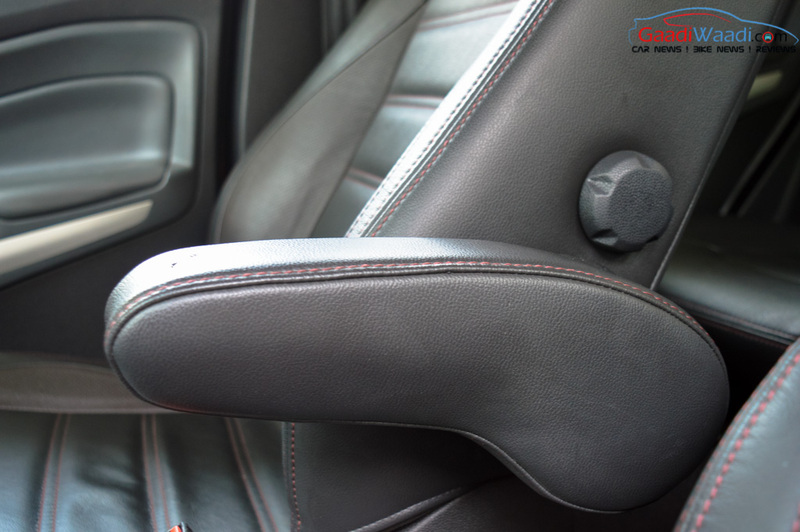 Despite being a compact SUV the car offers generous amount of space inside the cabin for the rear occupants. 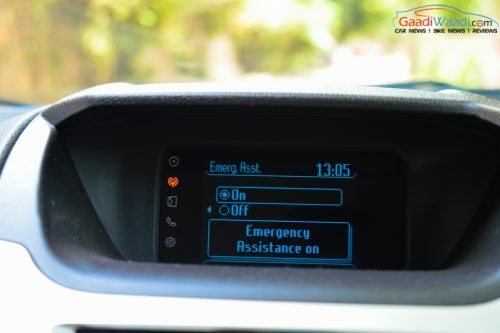 At the top end trim the Ford EcoSport gets 6 airbags, seat belt warning, ABS, EBD, engine immobilizer, central locking, speed sensing door lock and child safety lock. 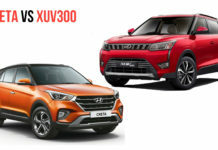 The key rivals against the Ford EcoSport are the Maruti Suzuki Vitara Brezza, Mahindra NuvoSport and Mahindra TUV300. 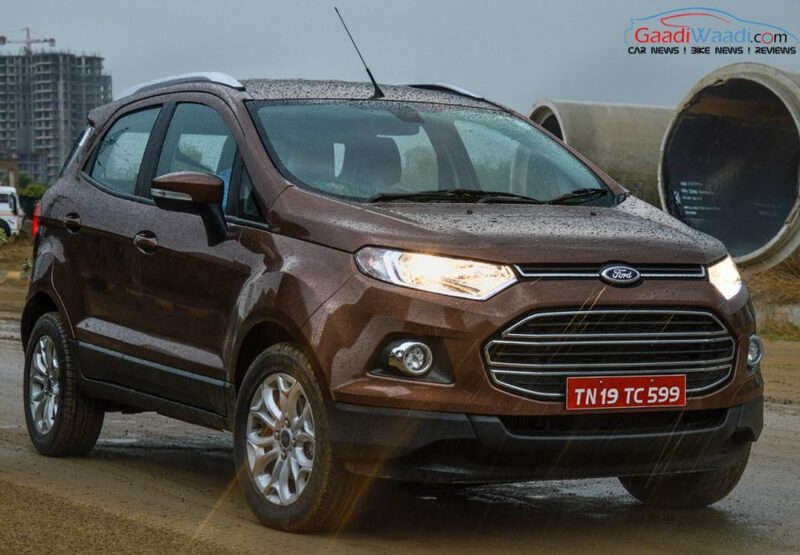 Ford EcoSport is available in eight different colour options, which are – Kinetic Blue, Panther Black, Smoke Grey, Golden Bronze, Mars Red, Moondust Silver, Chill Metallic and Diamond White.